Pig & Wolf, Pavilion, Kuala Lumpur, Malaysia. Address: 7.01.07 & E7.01.07 Level 7, Pavilion Mall, 168, Jalan Bukit Bintang, Kuala Lumpur, Malaysia. It has been a while since my last visit to Pavilion and now, it has a new wing called Pavilion Elite with many branded outlets and restaurants situated at this new wing. Besides that, I came across a another new wing in the old Pavilion, the Level 7 which has plenty of restaurants there. One of them is the Pig and Wolf. It is a non-Halal restaurant. My apologies to all my Muslim readers. According to the Pavilion’s website, Pig and Wolf restaurant is a subsidiary of the popular 3 Little Pigs & The Big Bad Wolf. It is a casual dining restaurant that offers a mixture of Western and Asian cuisines. It offers from pork burgers, pasta to pork ribs. Together with my friend, we explored this new restaurant. Initially, we wanted to order the set meal which comes with a soft drink and soup of the day. However, after looking at the a la carte dishes, we decided to order separately which we can have what we wanted to try. During our visit they were doing a ‘Buy 1 Free 1’ promotion for the coffee’s menu which we both felt it was a better offer than having the soft drinks from the set meal. 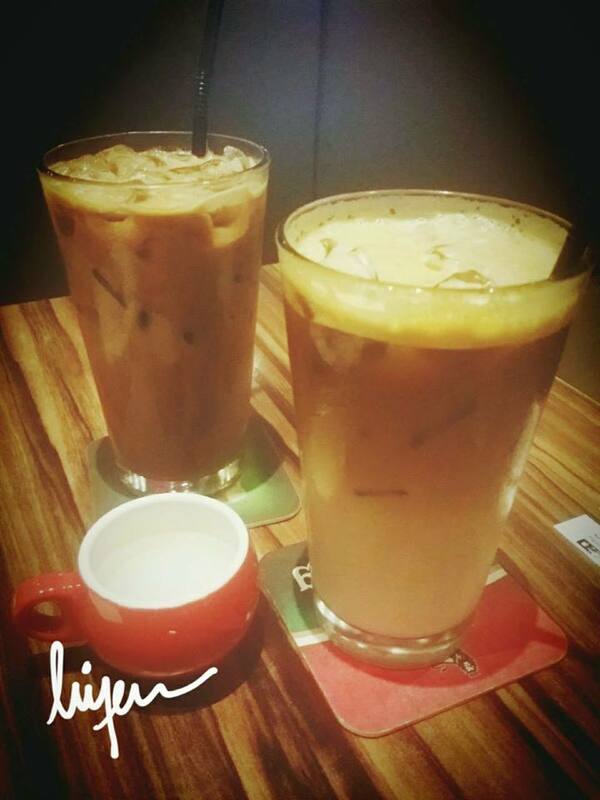 So, my friend picked the Iced Mocha and I chose the Iced Latte. Their coffee is just right and does not need extra sugar syrup. My friend spotted the luncheon meat fries on the menu and we ordered one basket to share together. It is a simple appetizer which we can do it at home too. 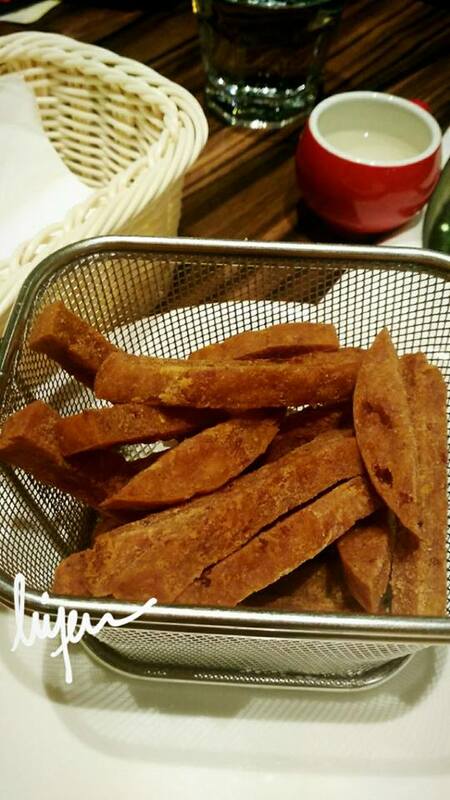 The luncheon meat is slightly fried and it tastes nice and crispy. 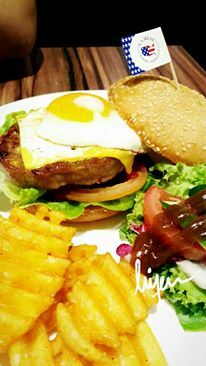 We ordered the Mighty Porky Burger which is one of the recommended dish on their menu. The presentation of the burger is still alright with some salads on one side and wedges on the another side. I liked the crispy and hot wedges. As for the pork burger, the pork patty is slightly dry. 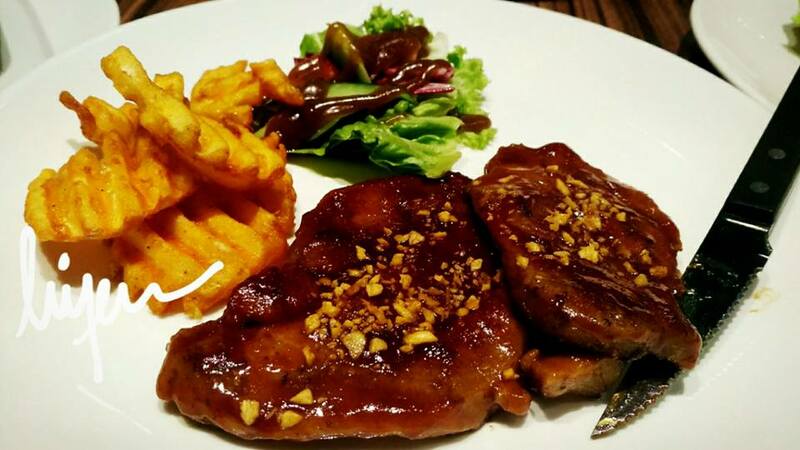 We ordered the Pork Steak too which was recommended by the waiter. The meat was well marinated and strong garlic smell. The meat is juicier than the pork burger and it has the same side dishes. Overall, the food portion is good enough, maybe they can improve the taste of the food to be more attractive. The environment in the restaurant is good and quiet, suitable for big group of people as there are plenty of long tables in the restaurant. We spent our afternoon here for lunch and coffee.